Juliet is a delicate take on the hot tassel-earring trend that is sweeping the globe. These earrings are dangle-style earrings made with teardrop-shaped hoops. Hanging from each of the hoops are six rose pink tassels made of poly-cotton thread. The wire, hoops and tassel clamps are made of gold-plated brass findings. These gorgeous and unique tassel earrings are handmade by women artisans in Guatemala. 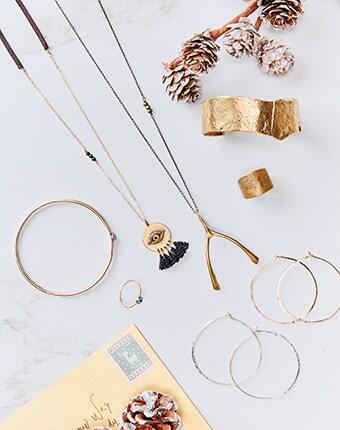 Not only would you be supporting global artisans, but you would also be adorned with a beautiful and soft accessory with a little bit of funky twist in the unique shape of the hooks and hoops. The Juliet earrings come in rose pink and measure 1.25 inches long.